Increase page views on your site by featuring your professional or user-generated content in this simple and attractive gallery. The unique design of the gallery widget means that each image or video view equals a website page view. The gallery supports images and video, so video pre-roll ads are also possible. The gallery lives on your website, on your URL. Your users can share individual images and videos to Facebook and other and social networks that drive traffic back to your site. 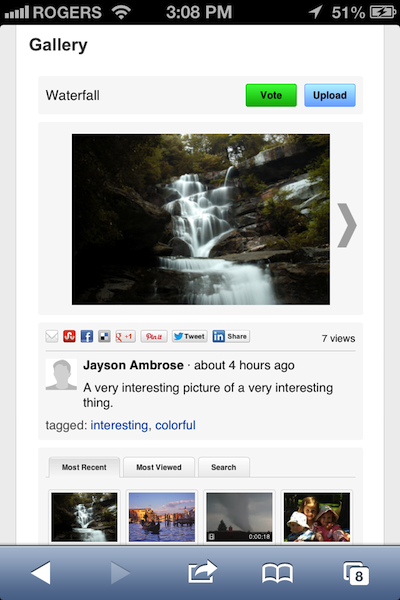 The Filemobile Gallery Widget works seamlessly with the powerful UGC Upload Widget. 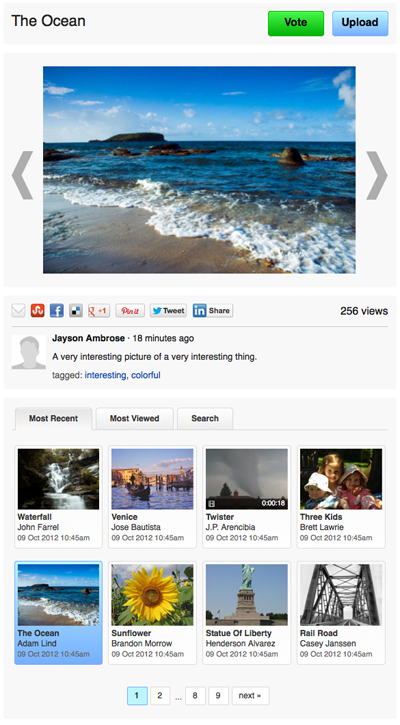 Run a contest by adding a vote button and prompting your users to upload their own content. Because our widgets are tightly integrated with Facebook, when uploading and voting, Facebook users are automatically prompted to share the action with their friends. Widgets are managed in Media Factory, the industry-leading UGC publishing platform. 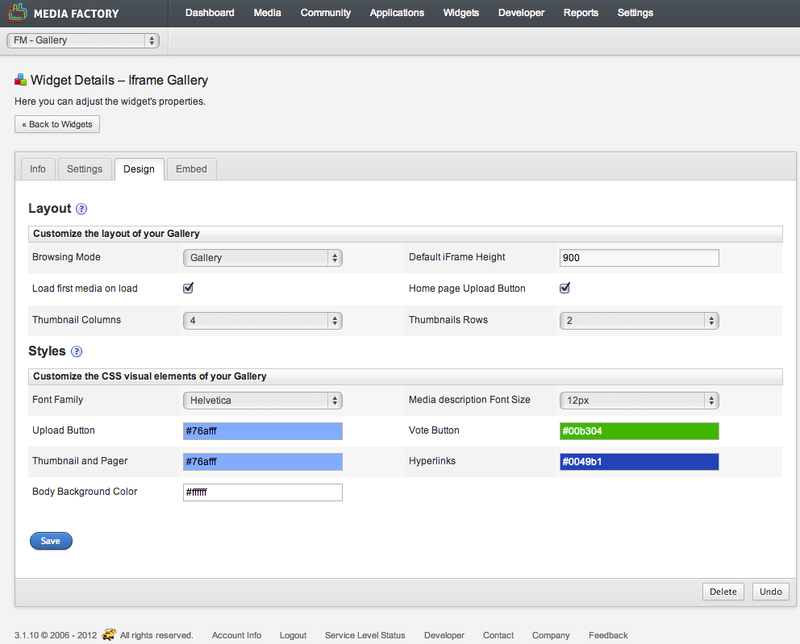 With the Media Factory Widget Publisher, you can design and launch uploaders and galleries in minutes. Specify the number of columns and rows of thumbnails, choose colours and turn voting on or off. The gallery widget also supports a slideshow viewing mode. This configuration removes the thumbnail gallery below the viewport. The gallery is designed to be responsive and will automatically adjust to the area provided on your website. It was built from the ground up to look and work great on touch devices. Check out our widget demos at http://widgets.filemobile.com.